Thanks to its methodics, structure as well as interaction, this program is very popular among our clients. The training is intended for everybody, who presents in front of a group of people or public and needs to persuade, motivate or sell. The participants will get to know and improve on the principles of effective presentation, how to plan and prepare it on a professionl level, so that it is successful in all of its phases – from the target setting, through opening of the presentation, introduction, verbal and nonverbal communication, conclusion, discussion, up to the feedback after the session. They will learn how to analyse the audience or target group, as well as how to enhance appearance in front of people. Questions and discussion are part of a successful presentation – we will learn how to answer them and maintain the discussion appropriately. We will train the participants how to cope with various types of personalities in the audience. How to manage stage fright, caution signals, problematic members of audience is an important part of the training program. 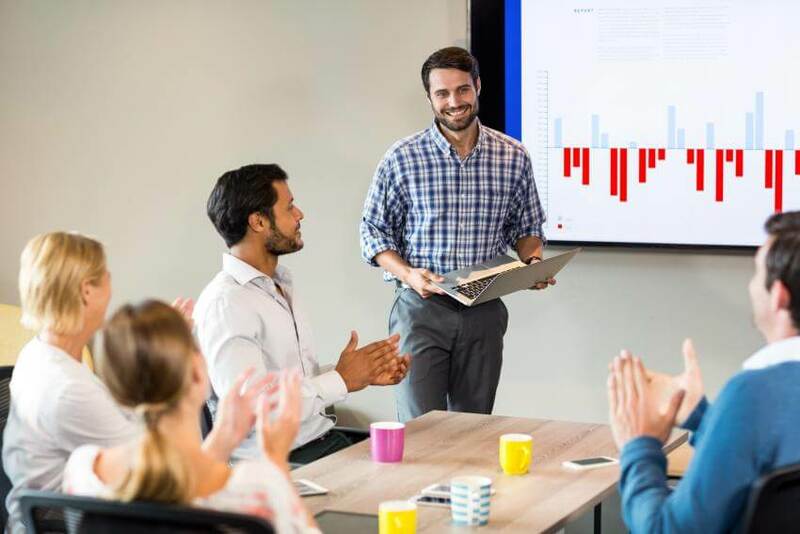 The secrets of presentation success will be disclosed thanks to videotraining sessions with self-reflection, group as well as trainer‘s feedback and proper creation and using of aids to support the presentation.